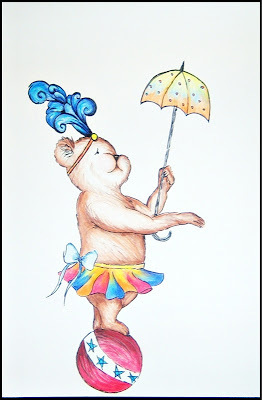 Roxanne Style: Hand drawn Circus Teddy! I finished my drawing. I named it, "In the Spotlight." It took me all day to complete. I'm not sure if I should add a background or leave her like this. What do ya'll think? 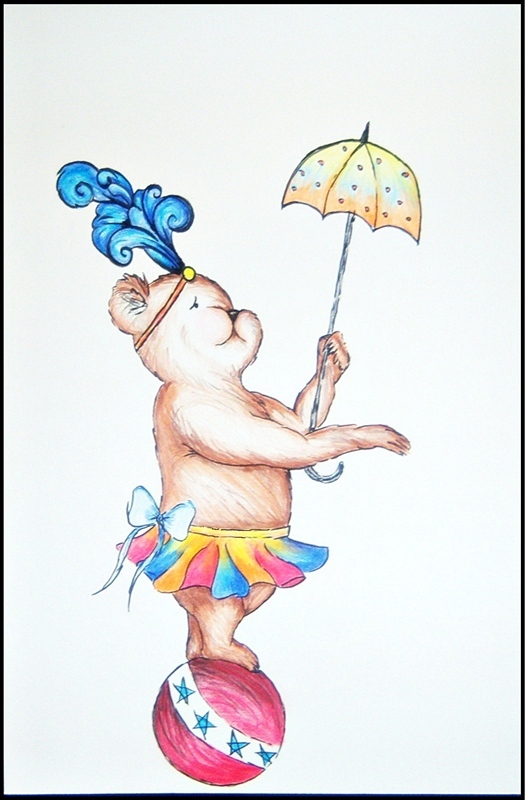 I thinking about drawing a set of "Circus" theme pics, and making prints available for purchase. Hand painting in a bottle cap pendant! Happy Little Bear ready to be adopted!